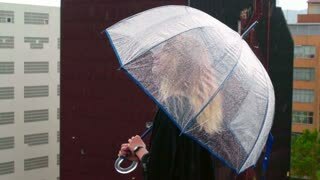 A woman runs in the rainy weather with her umbrella. Raining like cats and dogs. Bad weather. Climate change.